Escoffier recipe for making fish stock, fish fumét, fumét de poisson, at home (Escoffier, 6). In French, fish stock is called fumét de poisson. 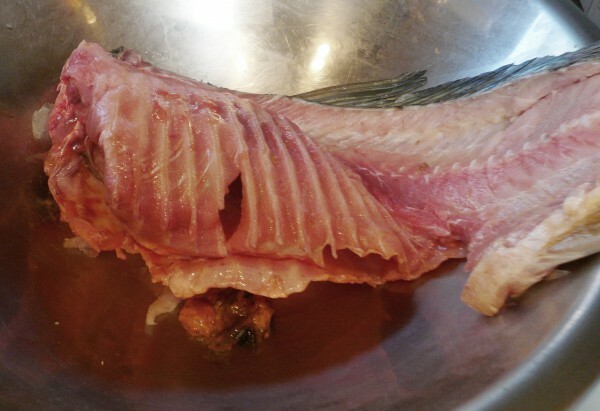 If you buy your fish whole and clean it yourself, this is really easy to make with the leftover bones and scraps. And you’re not wasting anything! 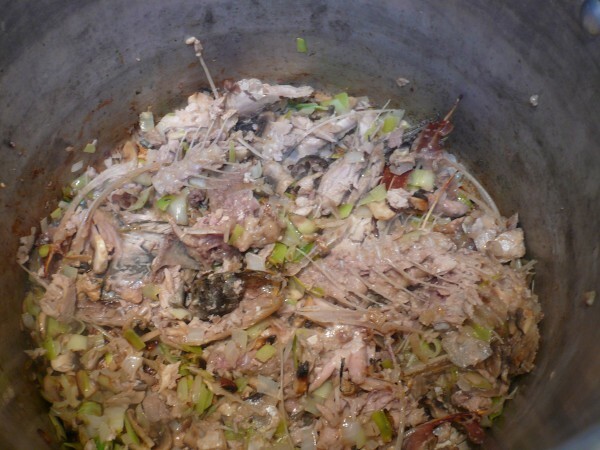 You can use any lean whitefish scraps and bones for stock. If you don’t feel like gutting and cleaning the fish yourself, go to a local Asian market and buy some whole fish. You can have the butcher fillet it for you and ask them to split the heads, and keep the scraps for stock. Some places even sell fish heads and tails for this very reason. This version of the recipe differs from Escoffier’s slightly. Instead of all onion, we use half onion and half leek, which is milder. You could easily use the whole amount of onion and omit the leek. And optionally, we add a bit of thyme for more flavor. If you’re using them, rinse off the heads and tails. Roast the fish bones and scraps in a little canola oil in a 400ºF oven until browned, about 15 minutes. Roasting the bones will help give your stock natural color and enhance its flavor. 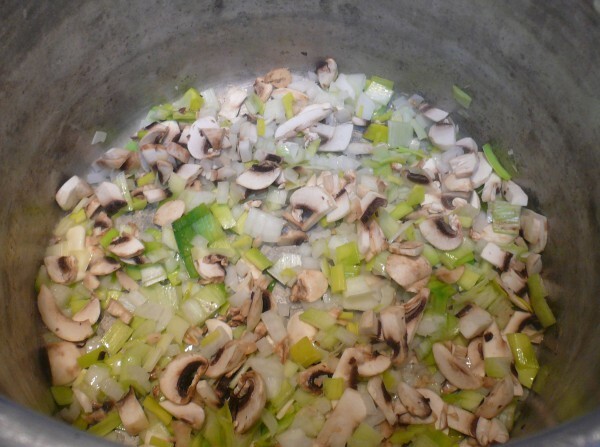 In a large stockpot over low heat, sauté the chopped onion, leek and mushrooms in butter until they become translucent, about 5-10 minutes. Add the roasted fish bones and scraps and cook for about 5 minutes more. Deglaze the pan with dry white wine and reduce until almost dry. go site What kind of dry white wine is best for fish stock? Ever notice they never say what kind to use? It’s always the very vague ‘dry white wine’ you’ll see in recipes. I’ve found Sauvignon Blanc, Chablis, Noilly Prat vermouth work well. Each has its own flavor, and will affect your end result. But go for the lighter whites, stay away from the sweet whites like Sauternes and Reislings, or oaky whites like Chardonnay. Add the water, chopped parsley, peppercorns, thyme and lemon juice. Simmer for 30 minutes, skimming any foam off the surface. Let cool, then strain the stock through a chinois. Reserve the stock in plastic containers. 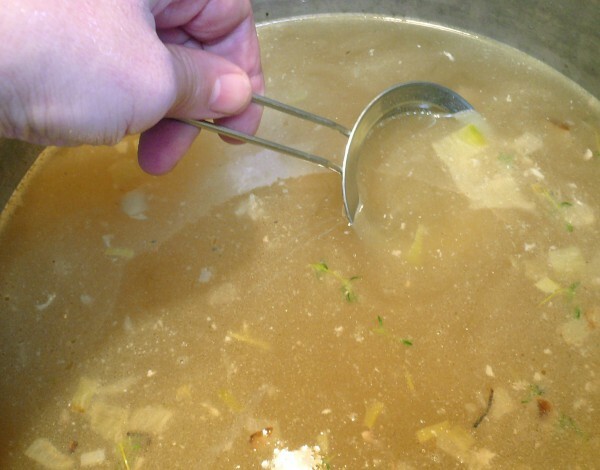 Fish stock be refrigerated for several days, or frozen and used later. 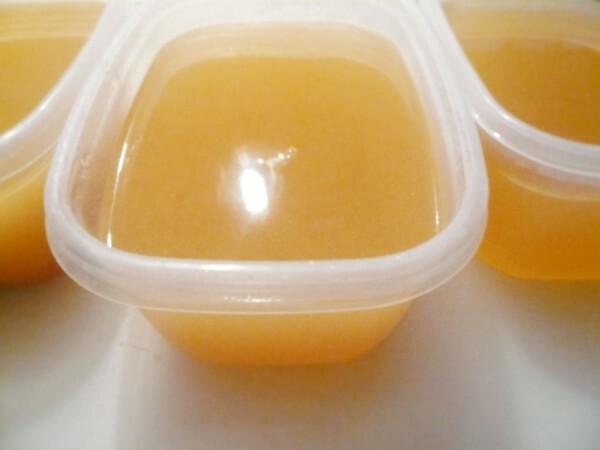 Note: do not cover and refrigerate hot stocks or sauces, as they can sour quickly in the fridge — always let them cool before you refrigerate! 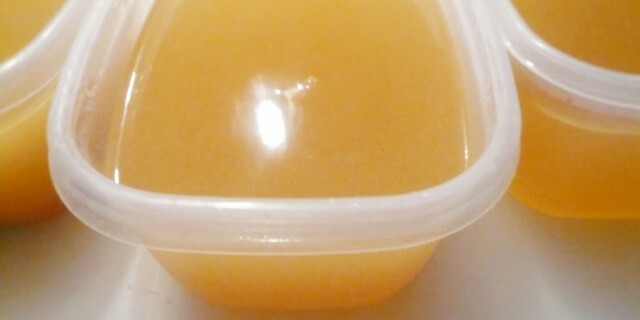 Yields: 2-4 quarts of stock, depending on how long you simmer it. Place the onions, parsley stalks and mushroom trimmings into a pan, add the bones and trimmings of fish, cover with the water and add the wine and lemon juice. Bring to the boil quickly and skim carefully. Allow to simmer very gently for 20 minutes then add the peppercorns and continue cooking for another 10 minutes. Pass through a strainer and use as required. 1) The use of inferior quality white wine will cause the stock to go a grey colour and it is far better to omit the wine altogether rather than use one of doubtful quality. 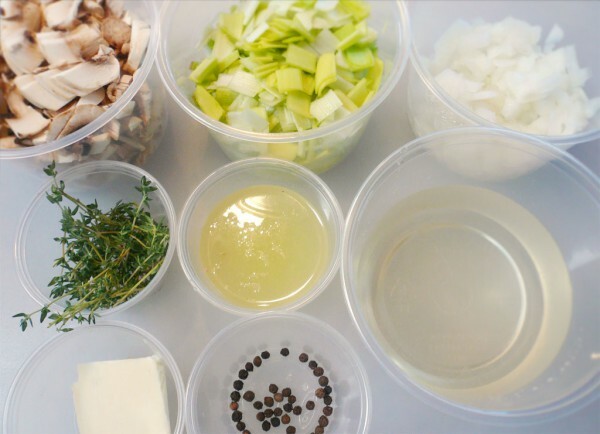 2) This stock is used mainly in the preparation of fish sauces; if it is to be used for making Lenten or fish Espagnole the ingredients should be stewed in a little butter before the liquid is added. A. Escoffier. Le guide culinaire: the complete guide to modern cookery, H.L. Cracknell & R.J.Kaufmann, transl.